Most important thing to remember when planning a child’s birthday party! Plan ahead! I get many last minute emails and phone calls where a parent is looking to schedule entertainment for a birthday party a few days before the actual party. 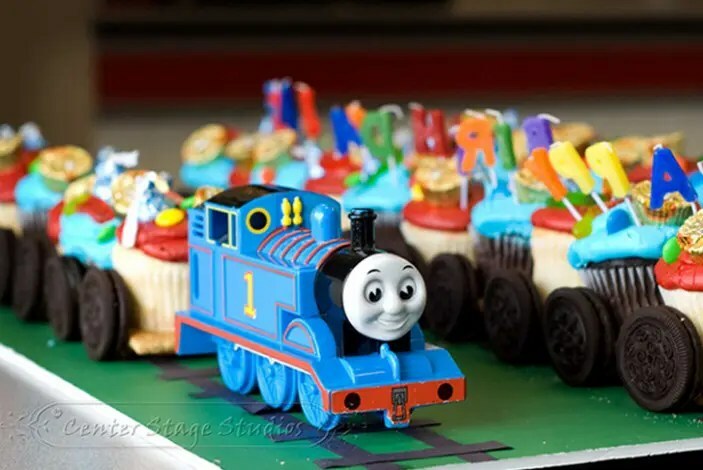 Now, I understand that there are sometimes circumstances such as another party entertainer cancelled or the party was planned as an outdoor party with an inflatable Thomas the Tank Engine Bounce House and now with rain and wind coming the train themed party needs to be moved indoors. However, I also know that some people, especially those that are busy with work and children, and everything that goes along with that, will sometimes wait until the last minute. Plan ahead, I recommend calling the performer you want before reserving the room or setting the time and date of your party. Lots of times I get calls and the person on the other line says, “I have the room from 1PM to 4PM so I need you at 2PM.” On a typical Saturday I will perform at 2, 3, or even 4 parties during the holidays. While I might not be able to travel, setup, and be ready for 2PM, 3 or 3:30PM might be possible. If the time and date where not already set with guests invited by the time I was contacted things could have been adjusted. 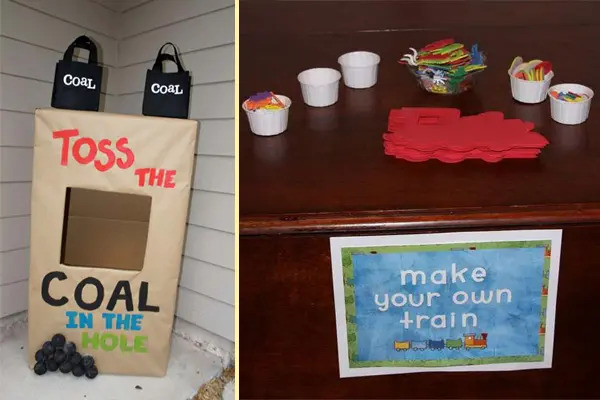 If your child is 4 or 5 and obsessed with trains and you are doing your absolute best to give them the “Train Party of their Dreams” don’t wait to the last minute. Next year they may no longer be “into” trains, so give them the best party you can now, by planning ahead! If you are set on hiring an entertainer for your child’s birthday party, be flexible, call early, and be willing to change the date or time if it means giving your child a party they will never forget! 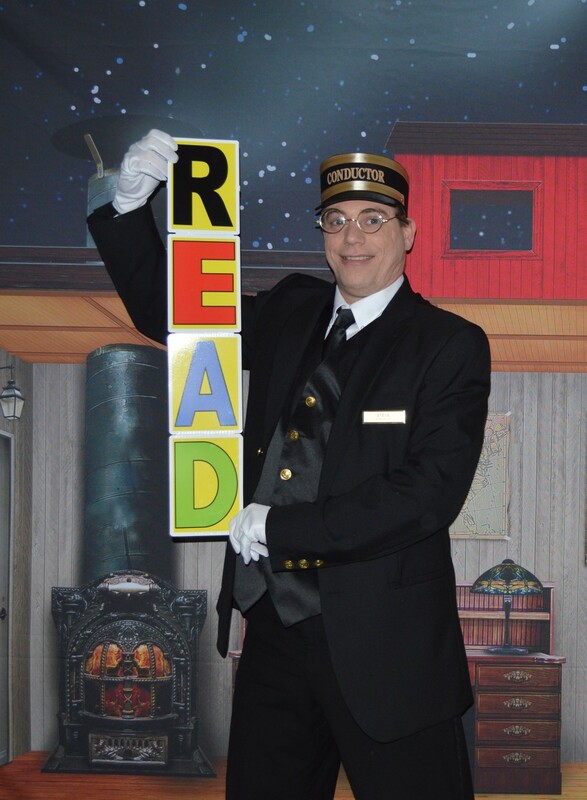 Posted on October 15, 2015 Tags birthday magic show, birthday party, birthday party magician, family entertainer, hire a magician for birthday party, kids parties, planning a train themed birthday party, railroad party, steve the magic conductor, thomas and friends, thomas and friends party, train themed birthday partiesLeave a comment on Most important thing to remember when planning a child’s birthday party! I performed an Assembly Program today and my 4th Grade Teacher was in the audience! What an exciting day! This morning I performed for an Elementary School in New Jersey and in the audience was my 4th Grade Teacher (he is still teaching 4th grade), my Gym Teacher, and my Music Teacher all from my elementary school. My old school was closed and knocked down many years ago and is still just a vacant lot but they are all in another school in East Rutherford, NJ where I grew up. It was such a great experience to not only perform for close to 500 students (grades PK-4), but to have former teachers in the audience was an awesome honor! I got to speak to each of them after the show and had some pictures taken which I will share when they are emailed to me! People ask me all the time if I love what I do…I do! Posted on October 14, 2015 Tags school assembly, steve the magic conductorLeave a comment on I performed an Assembly Program today and my 4th Grade Teacher was in the audience! 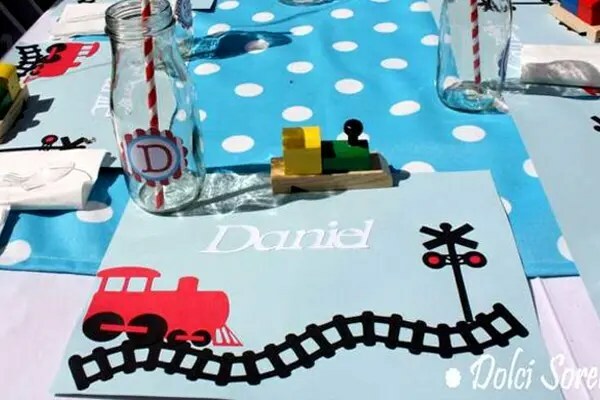 Here is a fun, magical, and easy to do craft project at your child’s train party. Just print out the sheet and have the children cut out the train tracks. Which one is bigger? No matter how many times you try it, it will always fool your eyes! Below is the PDF, just click it and print as many as you need and be sure to save it to your computer for future use! 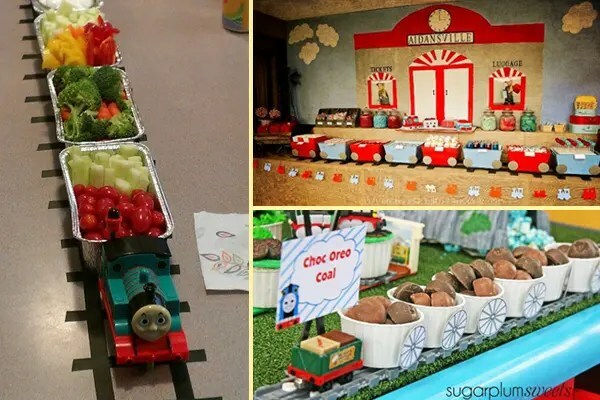 Plan the most amazing Train Party ever for your child! It may be because your child has reached the age where that little blue engine named Thomas has entered their life and become their whole world. Or possibly you just have a future little Conductor on your hands? 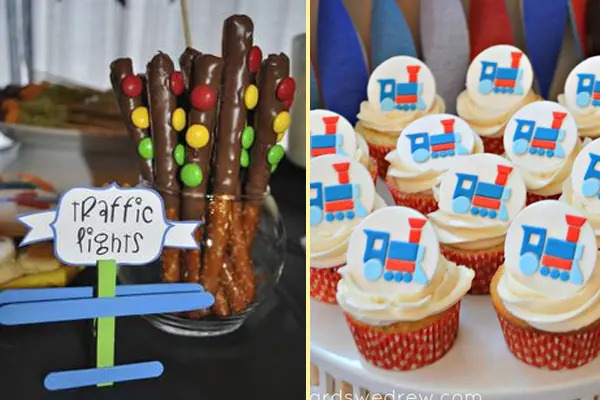 Either way, if you have a Brisbane Kid that is obsessed with all things trains, railroads, steam and tracks then below are some fun and fantastic train-themed party ideas that they will adore for their next party. 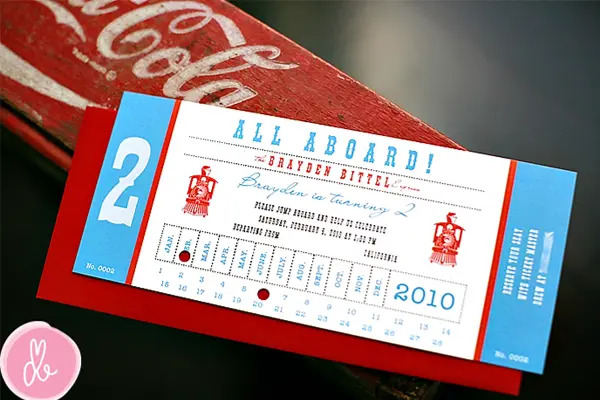 These train ticket invites found at B. Lovely Events are adorable and set the theme perfectly. 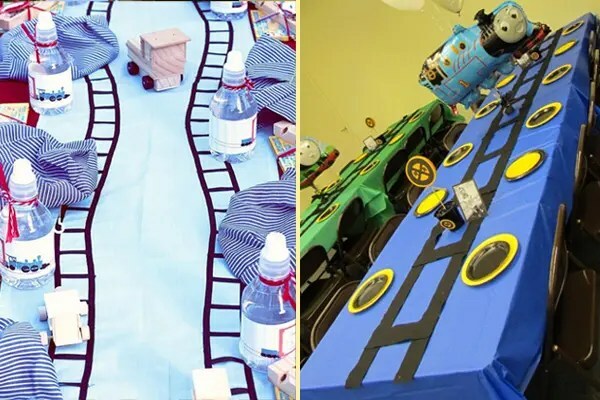 There are a lot of great ways to set your space up with a train theme. 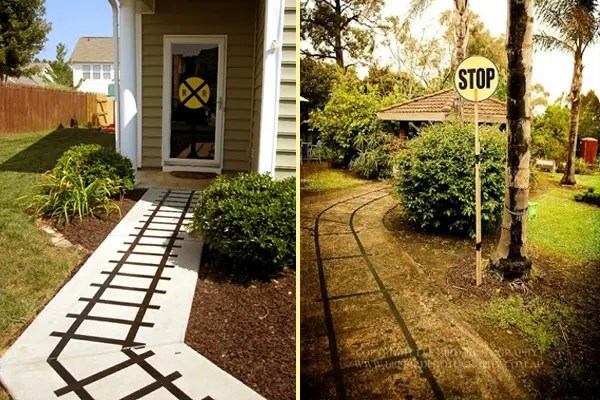 Outside, you could make some basic train tracks using black gaffa tape and put up some simple crossing and stop signs for navigation. The kids can then either ride their bikes over these or run along them in makeshift train carriages during the party! We love how they have done it in the examples below found via Jessica Fitzgerald and at Kara’s Party Ideas. Inside you can continue with this idea by running tracks along the floor or tables that are set up. We found some great examples below at Catch My Party and Project Nursery. It’s easy to do and looks very effective! By putting out some small play trains at each chair the kids will have a ball driving them around and playing with them while sitting down to eat too! We also love Catch My Party’s simple but fun placemats. An easy DIY project, these work well as both a table decoration and a place card. 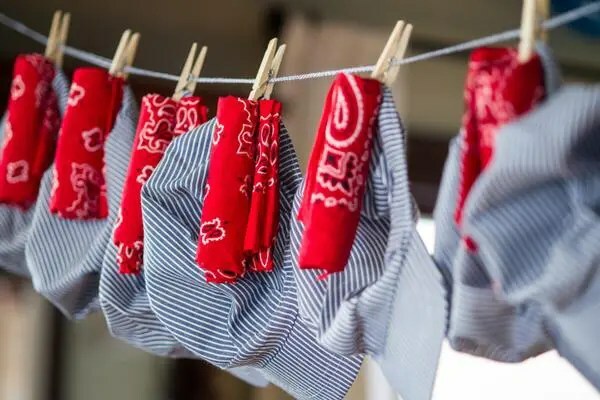 Train conductor hats and scarves like these ones found on Fort and Field are a great accessory, work well as a table decoration and also double as a great gift for each guest to take home. 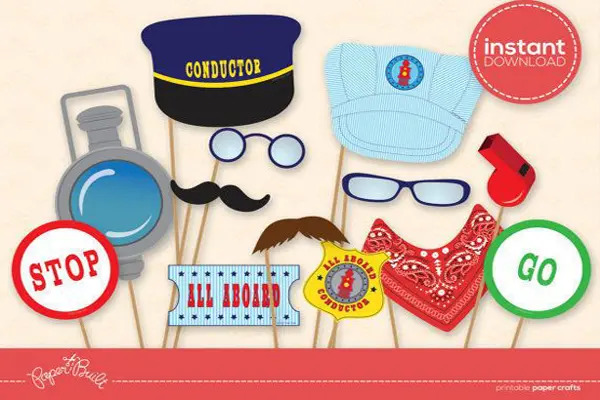 Another fun item are these cute printable conductor accessories from learnist that can be used for photoshoot fun and also just for a giggle for the guests. 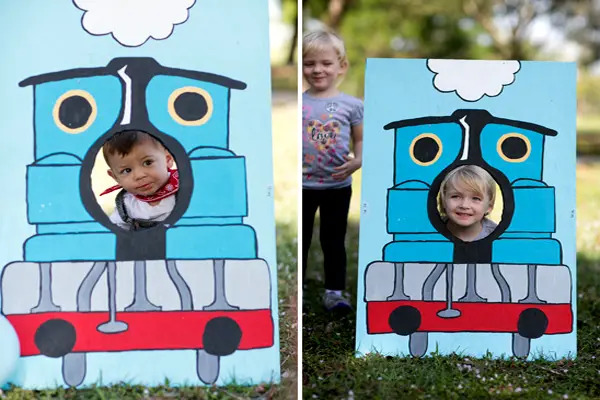 You can even create your own cardboard train like this one seen at On To Baby that the kids can peer out of or sit around for some fun photos on the day! All aboard the food train – toot toot! Here are some cute ideas for displaying your food. Simply line up some cupcake holders (as seen on Catch My Party), tin foil take-away containers (Jocelyn Harrington) or small boxes (found on Kara’s Party Ideas) as makeshift train carriages, add some cardboard wheels, put an engine on the front – voila! – its an instant food train! 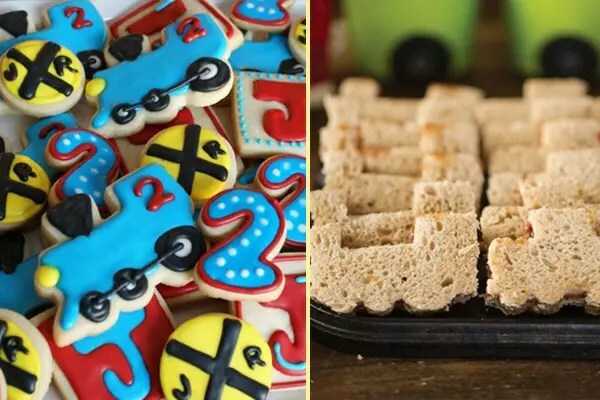 Cookies and sandwiches can also become instant trains with the help of a train-shaped cookie cutter! Make eating even more fun – thank for the inspiration B. Lovely Events and Hostess with the Mostess! We think these cute chocolate-dipped pretzels seen at Catch My Party look awesome as stop light treats. 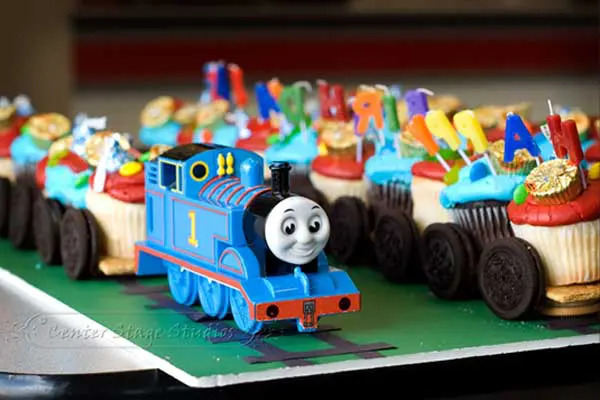 Cupcakes with train designs like these from Your Cupcake Story on etsy would be super popular too. Love, Love, LOVE this cute little idea for a food table item found on Catch My Party’s page. 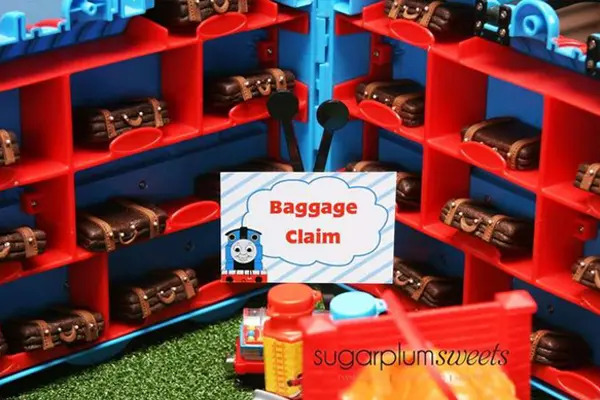 Mini suitcases in a baggage claim display! These could be made pretty quickly with some Tim Tams, icing and decorative edible balls…. 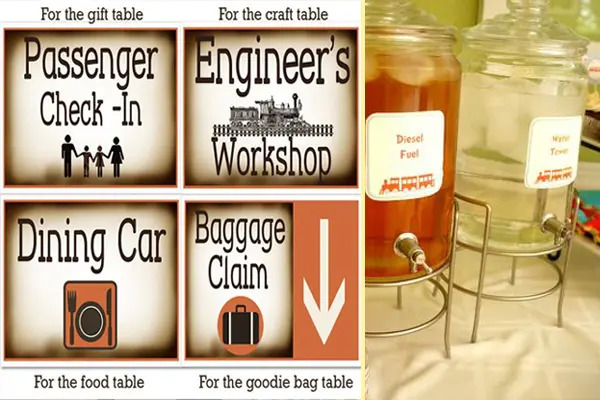 You can also have a little fun with the table signs for the food, drink, presents and favour sections like these ones seen at Catch My Party and On My Side of the Room sites. There are so many amazing cake ideas out there for train parties and you can even get tutorials from online blogs like My Cake School. But sometimes simple is just as effective and I love the idea of this cupcake train cake from Best Decorated Rooms. No slicing or plates needed – guests can just pick up a cupcake and munch! 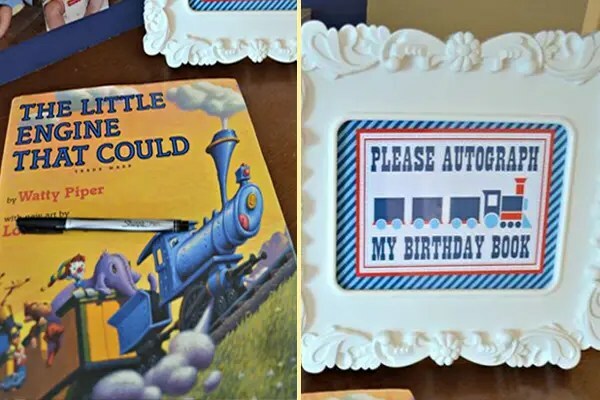 For something a little different why not buy a train storybook for your little one and get all their guests to sign it with a message. This is a great keepsake idea we found at The Cards We Drew and as all kids love books a great gift as well. 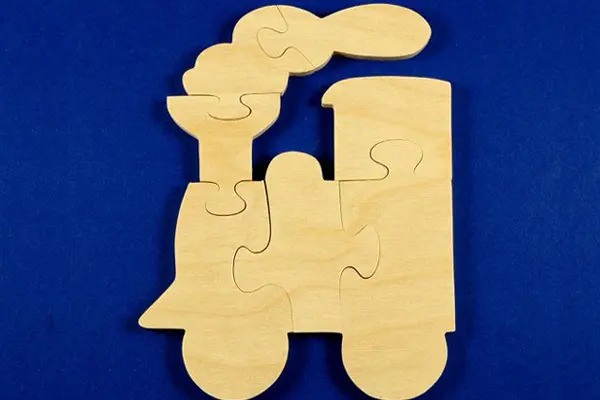 If you are looking for a favour to give to the guests that fits the theme, is a learning toy and something they can keep then look no further than these aweseome wooden train puzzles from nwtoycrafters on etsy. So if you have a little person who you know would LOVE this theme for their next party – what are you waiting for? Get on board and start planning today! 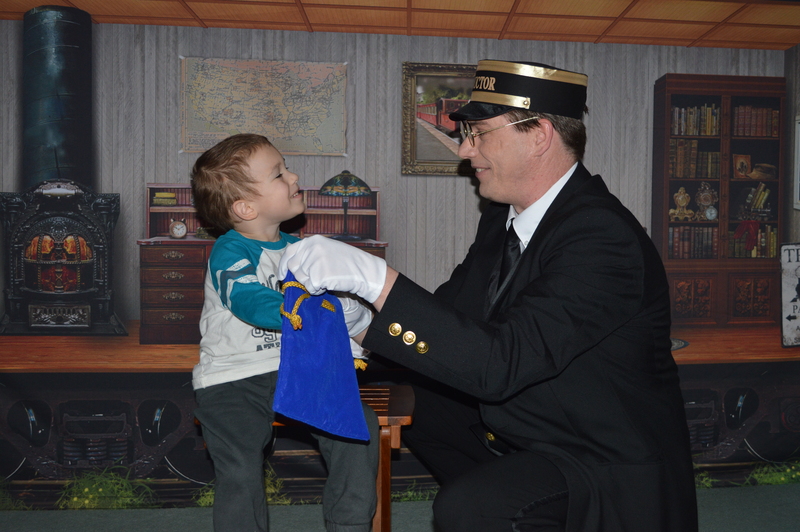 Posted on October 13, 2015 Tags birthday party, planning a train themed birthday party, railroad party, steve the magic conductor, thomas and friends partyLeave a comment on Plan the most amazing Train Party ever for your child! I have a Golden Ticket for your child and their friends! I always wanted a Golden Ticket, and could never get that song out of my head, “I got a Golden Ticket…” Well, now that I am older I realized the easiest way to get my own “Golden Ticket” was to create my own. 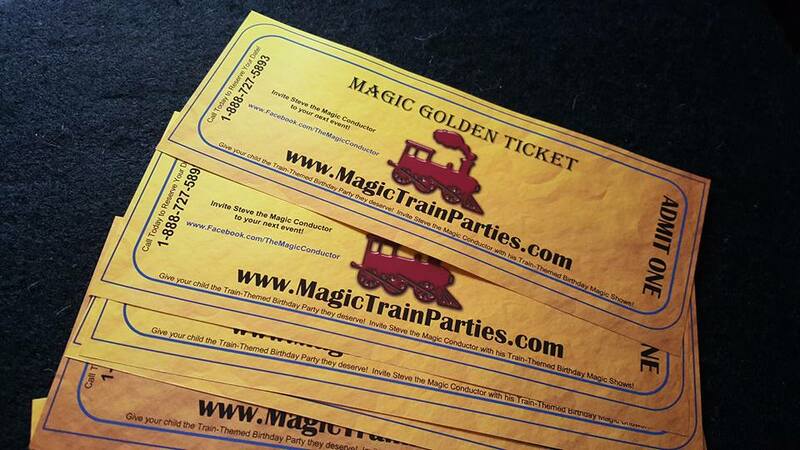 This is not just any ordinary golden ticket, it’s a Golden MAGIC Ticket and the only way to get one is to be at a train themed birthday party or other event that Steve the Magic Conductor is performing at. Children will love these authentic looking jumbo sized golden train tickets and there is even some fun on the back to keep them busy! Posted on October 13, 2015 Tags gold ticket, golden ticket, jumbo train ticket, magic train ticket, steve the magic conductor, thomas and friends, thomas the tank engine, train themed birthday parties, train ticketLeave a comment on I have a Golden Ticket for your child and their friends! Welcome to my blog, you don’t even need a ticket to hop onboard. I will be sharing stories about my travels as Steve the Magic Conductor. It all started when my son Dylan became obsessed with trains and after watching him for two years playing with and talking about trains all day I decided to create this character to promote reading at schools and libraries. I’ll be sharing details about all the different programs I offer as Steve the Magic Conductor and you will see how I create new shows as time goes on. Once again, Welcome aboard and I hope you enjoy the ride as much as I do!